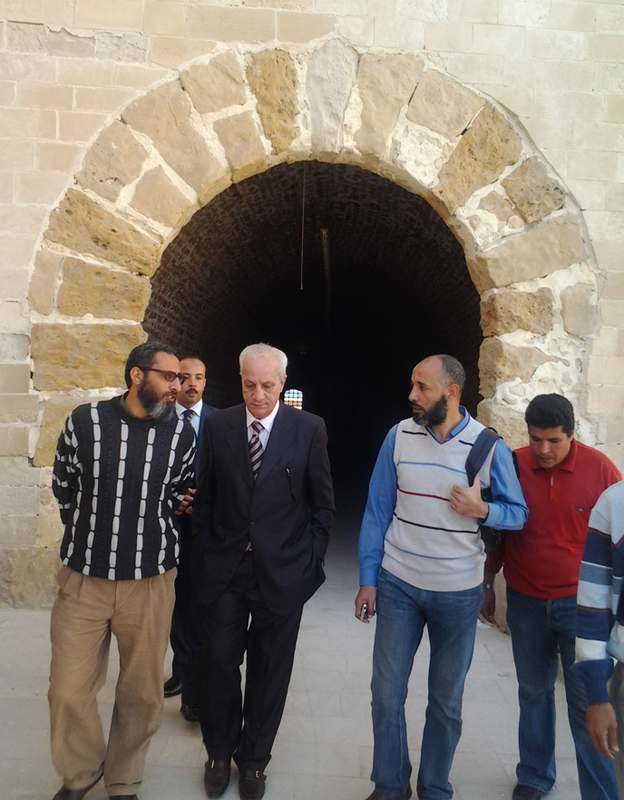 Dr. Mohamed Ibrahim (Minister State of Antiquities) was on a visit to Qaitbay Fortress in Alexandria yesterday to check on the ongoing work of development of the site to attract more visitors and concerning the holes in the fortress wall, the Minister said it is vital to protect the eastern side especially as it is exposed to sea waves and strong currents but any work on that side will conflict with the submerged monuments which will require to work on protecting both in a scientific method based on studies using the latest technologies to make barriers to protect the fortress and doesn’t affect the submerged monuments badly. During his visit, the Minister announced the project of establishing a centre for marine and submerged monuments in Alexandria which is under ongoing studies at the moment. 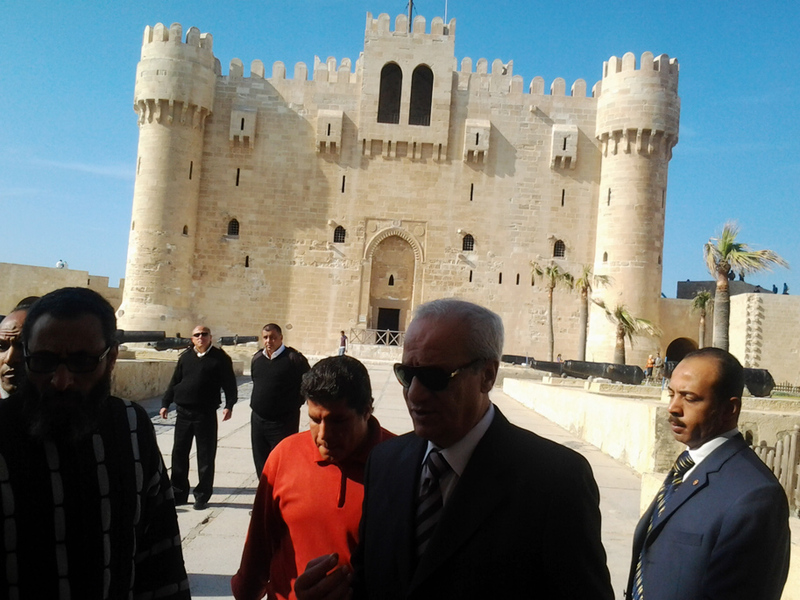 The centre will be at the site of the old Lighthouse by Qaitbay citadel and will include underwater museum and international training centre for restoration.